Where do I begin, just thinking about it I am overwhelmed and tired. I will start tomorrow or this weekend… I am sure everyone has had the feeling of the need to de-clutter their home. Often around springtime is when people start a goal to spring clean and de-clutter and then have a garage sale. Setting a mood in your Home also can be hard when you have unnecessary clutter. Don’t keep putting it off, for a “certain time” of year. It will continue to build up overtime. You may not even realize it, but your clutter could be non intentionally making you feel a lil’ chaotic in your life. It’s okay we are pretty much all living it at one point or another. Your clean home can give you peace it lessens the amount of stress that daily routines give you. The moment you walk in to a room that is clutter free after a stressful day, you achieve that sense of comfort, peace and quiet, only then can your rightful rest time begin. Once you create that mood and vibe you will want to strive for it. Though life is always unpredictable and can get out of hand a time or two. 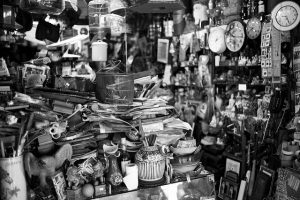 The thought of de-cluttering your home may be a little cumbersome to think about but it is still possible. Going through toys, clothes, shoes, etc Even every 3 months also helps you stay on top of it. We accumulate so much stuff naturally and some how always save it “just in case.” When you de-clutter your home do it bit by bit. You can allocate just a few minutes to de-clutter a certain area in your home. Set a specific time limit when de-cluttering a space 15 minutes for each drawer or shelf for example. Trying to de-clutter an entire room could overwhelm you and cause stress.When you focus on one drawer or shelf one at a time you tend to feel accomplished. Learn to focus on a single shelf or drawer at a time, and entirely vacate it. After you clean that drawer or shelf, only put back the things that you need and get rid of those that you don’t. Don’t think twice. The moment you’re ready to sort your things out, decide which ones you’ll keep, those that you use frequently, and which ones you need to give away. The question is not, I the thing still usable, but rather is should be, am I still using this thing? Throw away unimportant papers. Most of the clutters we find at home are papers. From the coupons you may cut from local restaurants to your shopping needs you with good intentions of using them. You may feel productive but at the same time creating a monster of a mess. Unknowingly you bring these materials to your home and simply place them elsewhere. Try sorting out these papers and you’ll surely be surprised at how much you’ve collected. You may be slipping into compulsive hoarding of bills, invoices, junk mail, etc. You may also opt out on receiving the newspaper by doing so, you’ll not only get rid of those clutter-causing papers, you’ll even save money. Have a separate box for things you are not so certain of tossing away. If you can’t stand to throw something for the reason that you believe you might actually need it sooner or later, place it in a separate the box altogether, label it, and keep it in the storage, the garage, or any place that will keep it out of sight. The probability is that you’ll never realize that box still existed or even open it again. Then you can take it out after several months to a year, and give or throw it away. Create and implement a system that will stop clutter accumulation. The primary reason why a house or a place becomes cluttered is because it lacks a system that will keep it clutter free. You need to take action on your system that will help avoid the accumulation of clutter or a way that will help you de-clutter your house like, disposing something old in exchange for something new, or throwing away stuff that hasn’t been used for a year or so, or simply assigning household tasks to everyone in the house which they are obligated to do. 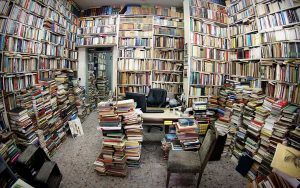 When you come to practice a system like this, your place will generally be safe from accumulation of clutter. You can plan this together with your family. We are all guilty of saving our children’s school work. Our refrigerator becomes a billboard of progress. It’s okay we still can add stuff to the refrigerator, but take it down and put it a binder if you must or throw it away. We tend to save coupons from the mail or newspaper. Take a picture with your phone and throw away the coupons. Socks, never ending sock drawer. For some reason I still have socks in my drawer that have a hole in it, but why do I leave it there? Changing your mindset as you put your plan into action will help you stay conscious of not adding clutter. A big “clutter” I have is over 500 DVDs, what is a DVD now days? You can pretty much get everything streaming. Another way to de-clutter is organize your past. Yes you may have the first Movie ticket stub from your junior high boyfriend, but he is no longer your type of eye candy. Get rid of it. Even going through all your 100 stuffed animals from your childhood, save one and donate the rest. I know I still have pants from High school I saved, just in case, I might need em’. You can relax and maintain your home clutter-free! After the hard work you’ve done, consider it an accomplishment that you’ve finally learned how to de-clutter and that you’ve achieved a clutter free home! Take a moment to appreciate the beauty of your home, its peacefulness and simplicity. And finally appreciate and congratulate yourself for a job well done. Now you can relax and rest in your clean home. Just remember to stay on top of the clutter to consistently have that relaxed atmosphere.